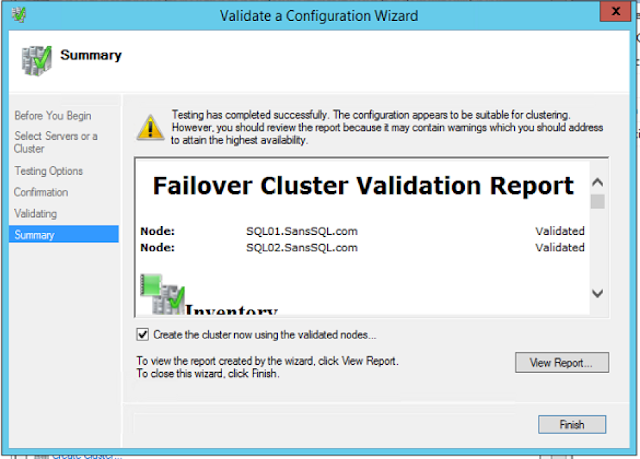 In my previous post we have learnt on how to configure the failover clustering. 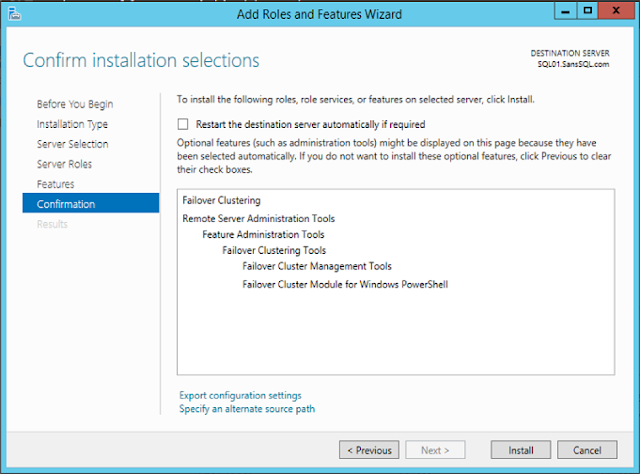 This is the first step and an important pre-requisite in configuring AlwaysOn Availability Groups. 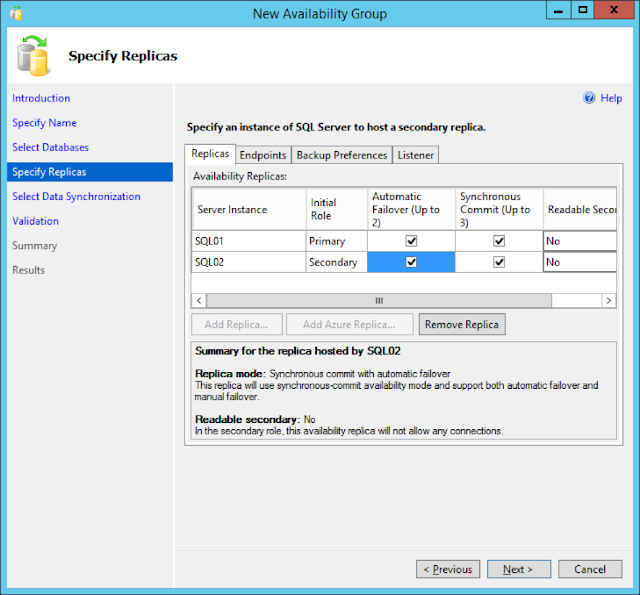 In this post we will learn how to Enable and Configure the AlwaysOn Availability Groups using SQL Server 2016. 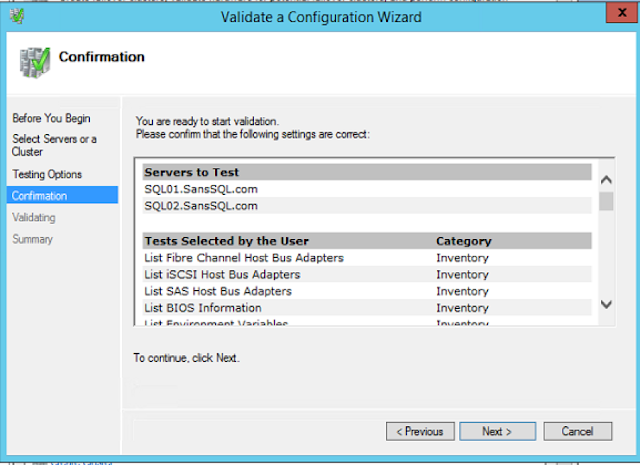 Before we start configuring the AlwaysOn, we need to enable this Feature. 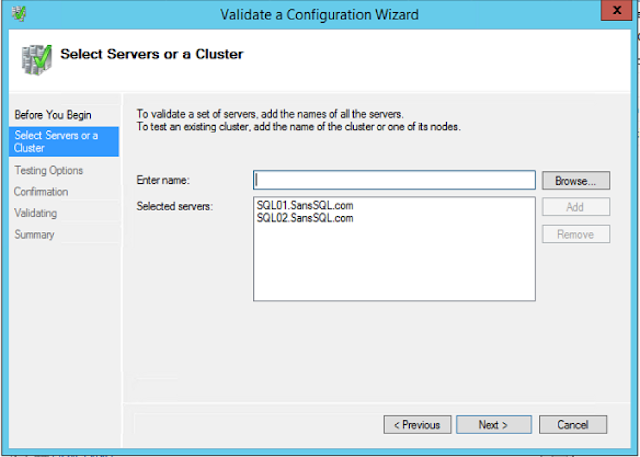 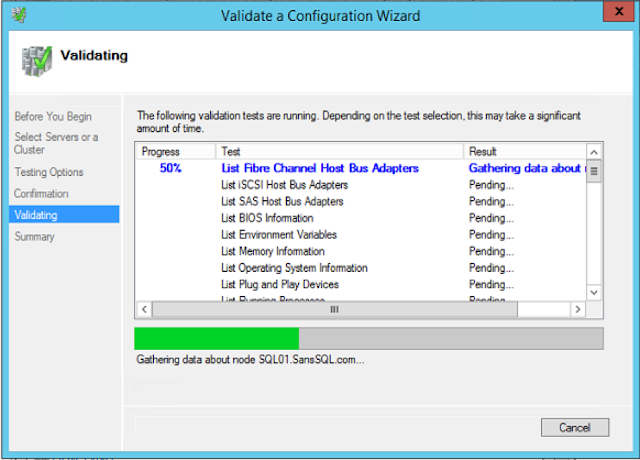 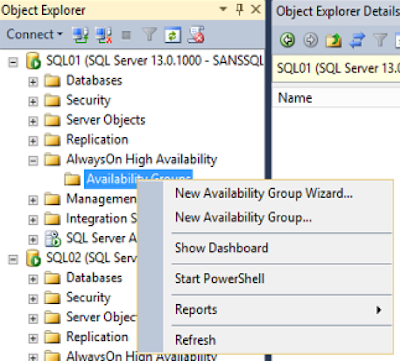 Open "SQL Server configuration Manager"
Go to “AlwaysOn High Availability” Tab and Check the box “Enable AlwaysOn Availability Groups” and Click OK.
Open SSMS and connect to the SQL DB Engine. 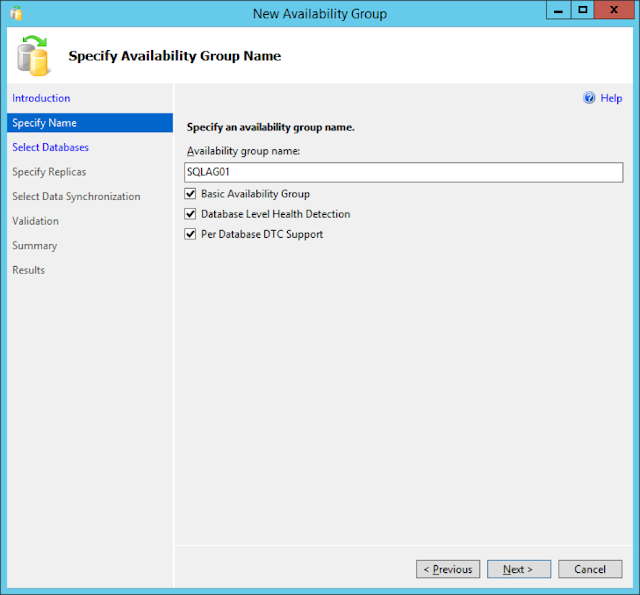 Give a name to the Availability Group and choose the required options and click Next. 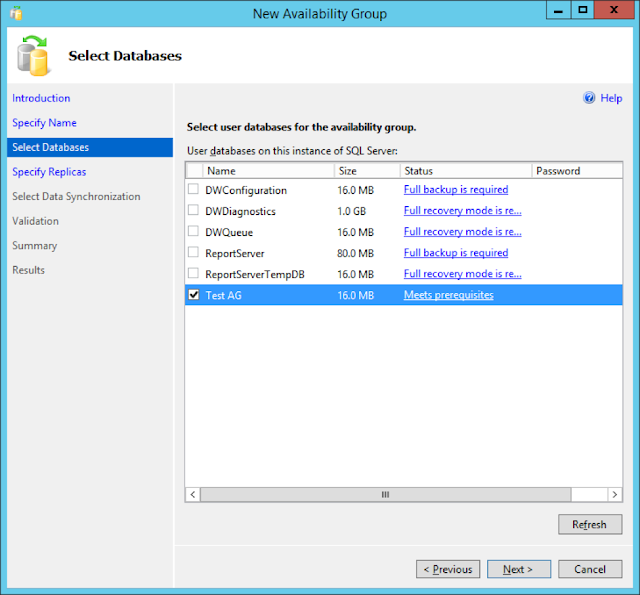 In this page, choose the databases that you may want to be part of this Availability Group. 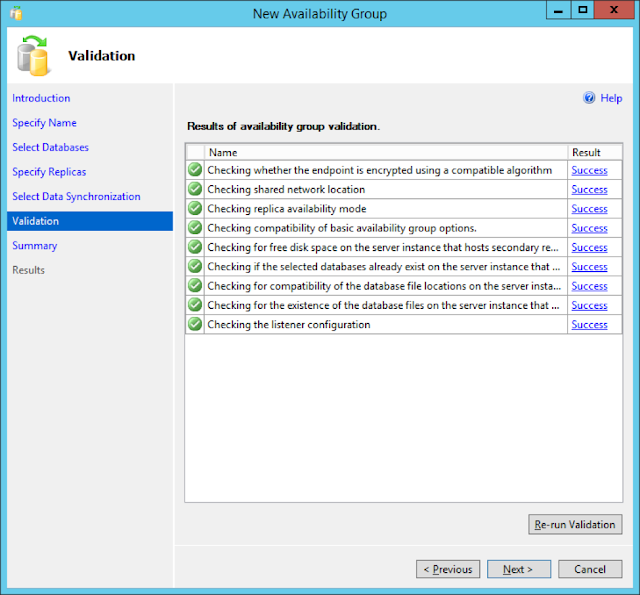 Additional Databases can be added later as well. 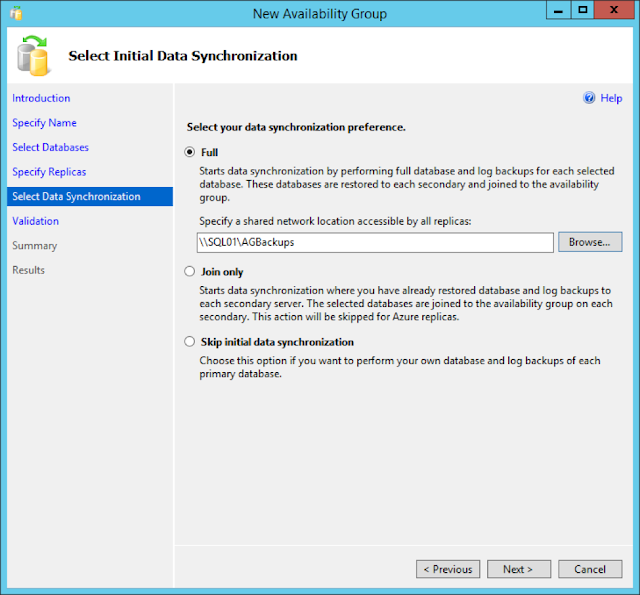 In the next page, specify the Synchronization preference. 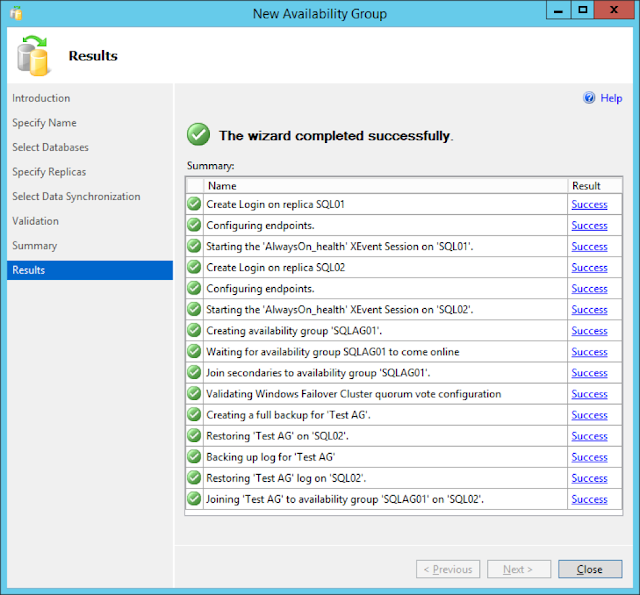 Successful completion of this wizard will create the new Availability Group with the specified databases, endpoints and the listener. 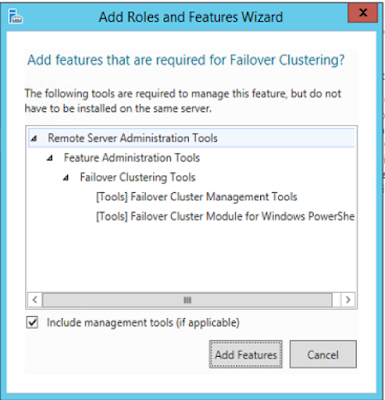 In the process of configuring AlwaysOn Availability Groups, the first step is to configure Failover Clustering on the participating servers. 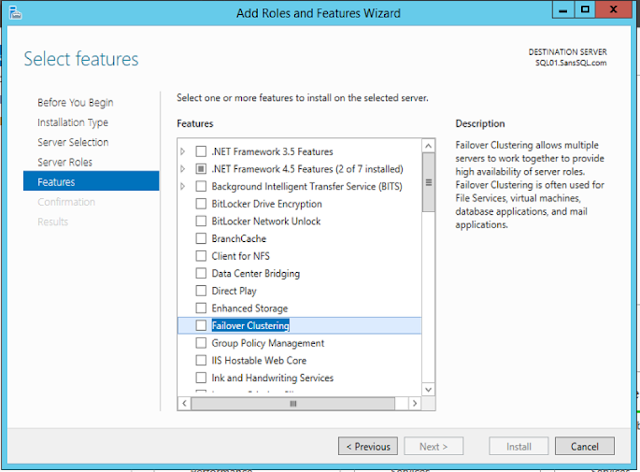 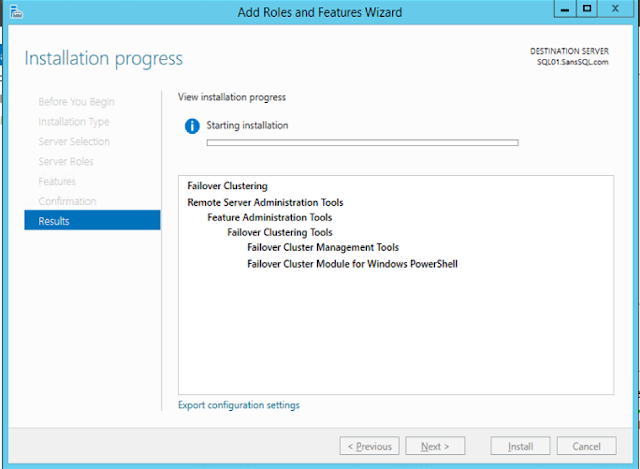 Open "Server Manager" and choose "Add Roles and Features"
With this, the required failover clustering components are installed. 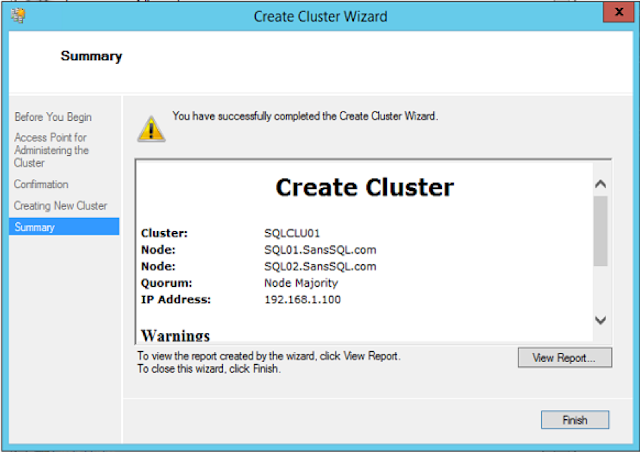 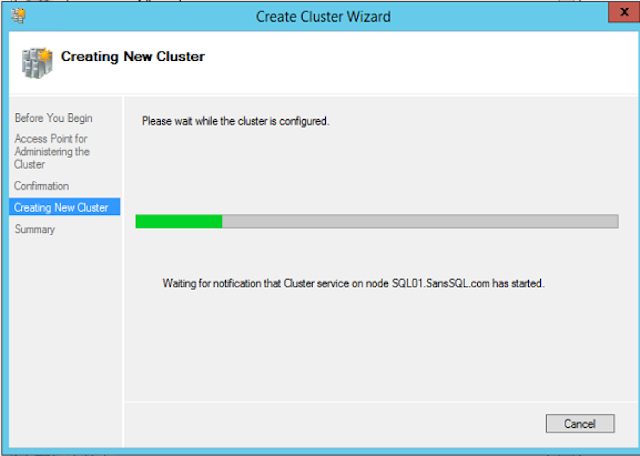 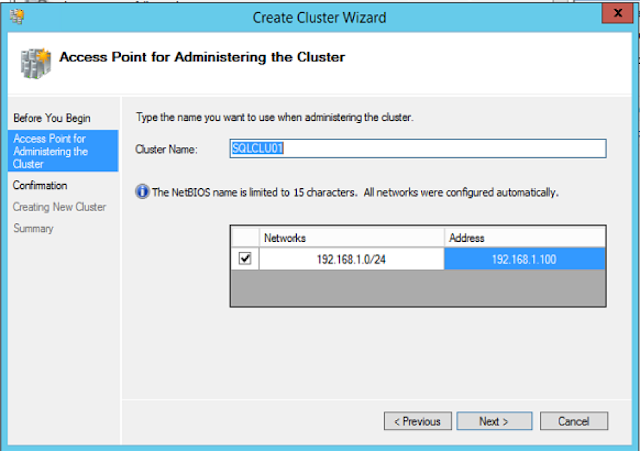 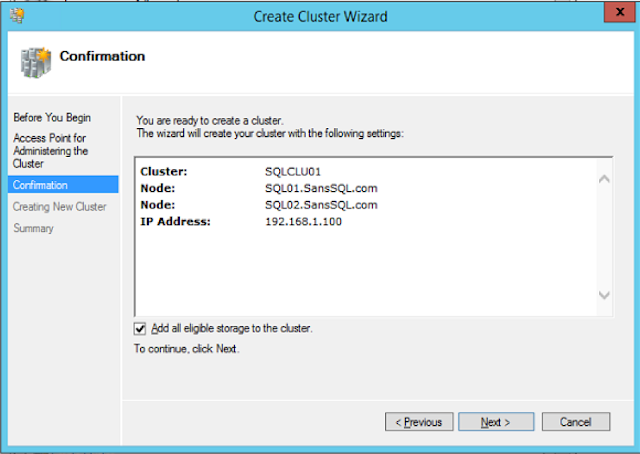 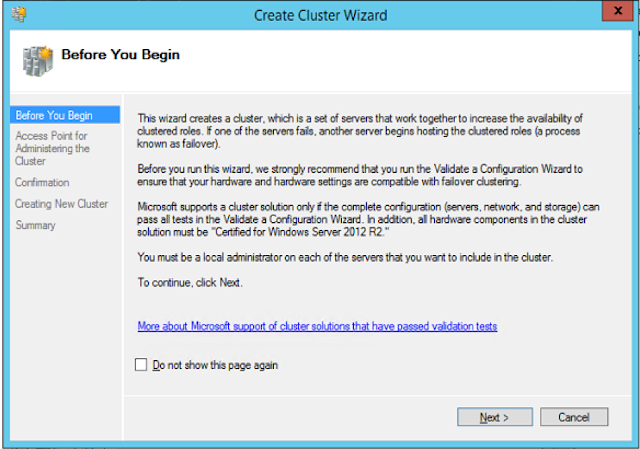 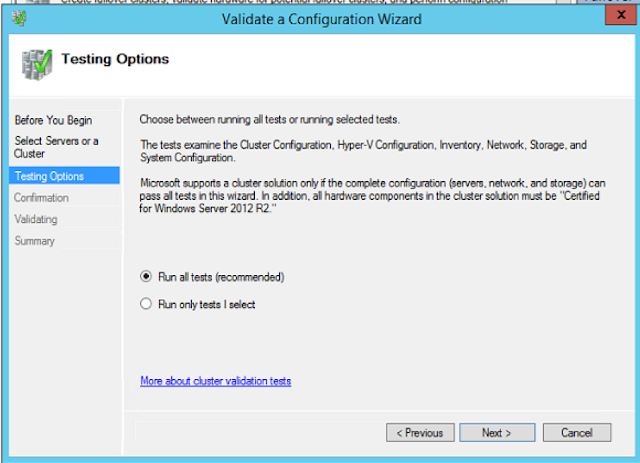 Now we need to create the cluster and before that we need to validate the participating servers for creating cluster. 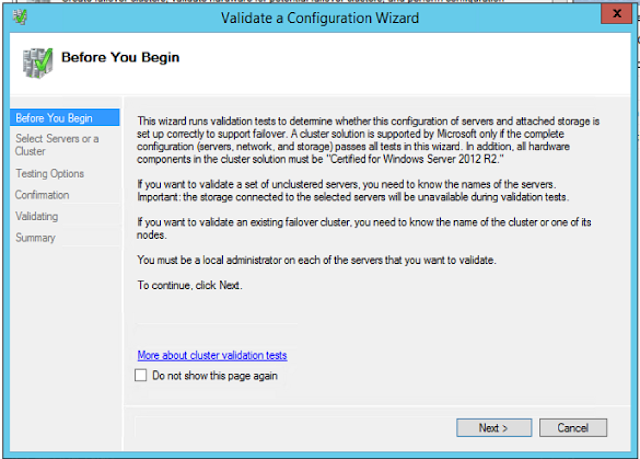 Open "Failover Cluster Manager" and choose "Validate Configuration"
On the successful completion of this wizard, the process of configuring the cluster will be completed. 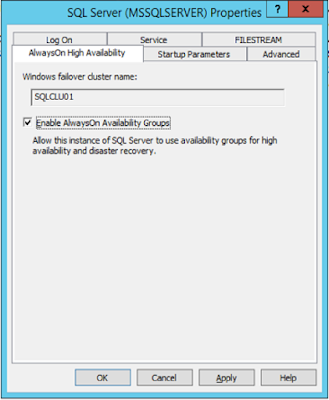 Now we are all set to configure AlwaysOn Availability Groups. 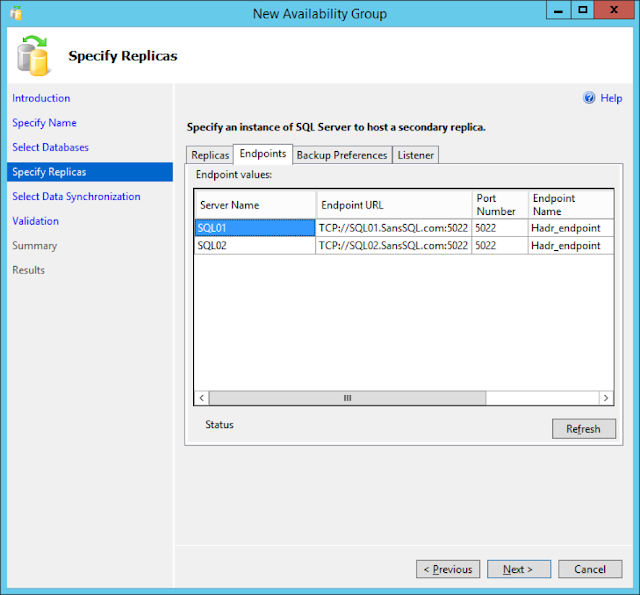 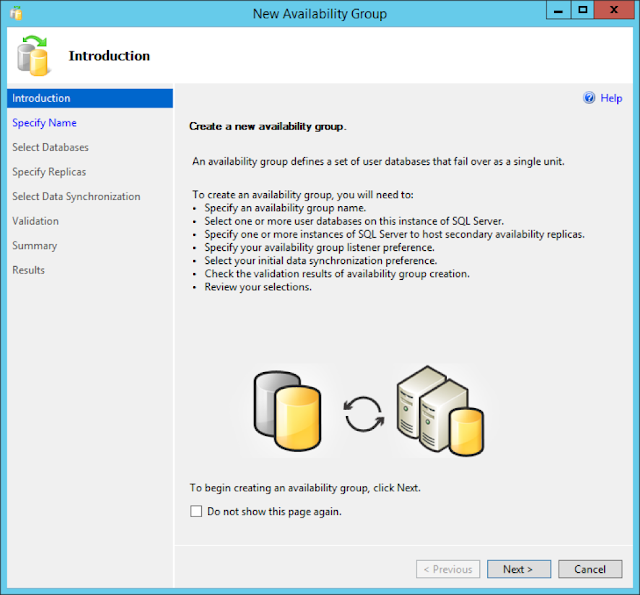 In the next post, we will learn how to Enable and Configure the AlwaysOn Availability Groups using SQL Server 2016.